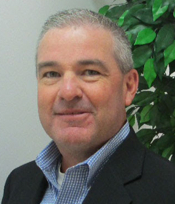 Trusted leader in narrow-web printing and converting solutions, Nilpeter is proud to announce that Paul Teachout has joined the company as the Vice President of Sales and Marketing for Nilpeter USA Inc.
With over 30 years of combined market experience Teachout brings with him rich industry knowledge to the Nilpeter team. Teachout will have complete oversight of the strategic direction, expansion, and operation of all North American sales and marketing activities. Teachout comes to Nilpeter from global anilox supplier Harper Corporation of America, where he served as the HGS Technical and OEM Accounts Manager for the past 6 years. Previous experience included a 24-year-period at Webtron/Aquaflex as the Director of After Sales Services and Product Development.